Unique and very practical gift for a new baby! Who said that diaper cakes are only for newborn? This cake you can take along to meet a very special baby at home! 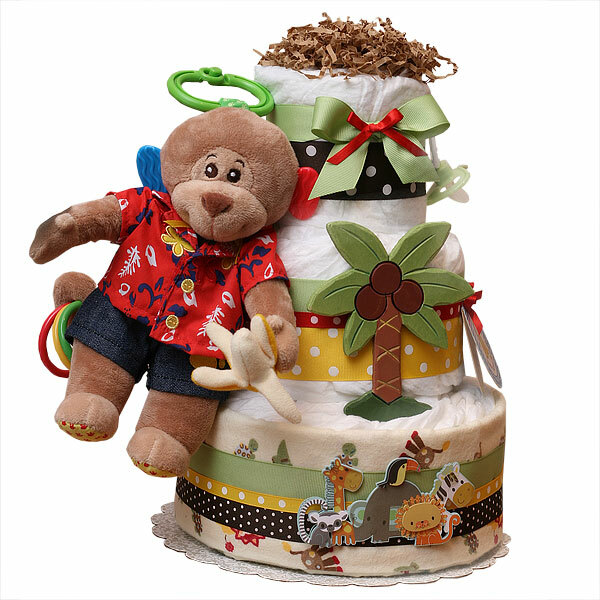 Three tiers PlayTime Bear Diaper Cake is made of 40-45 Pampers Swaddlers diapers size 2-3 (14-22 lbs. ), One pacifier, One flannel receiving blanket 100% Cotton, One baby activity toy by Build-A-Bear Workshop, lots of bows and Scrapbook embellishments.